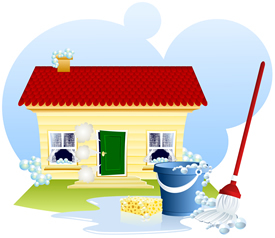 One of the lowest costing businesses you can open today is a home cleaning business. Since you are not selling or creating a product, you will not have to spend tens of thousands of dollars in inventory or refurbish or remodel a store or restaurant. 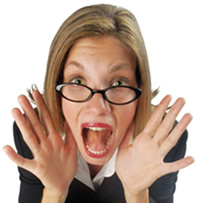 Your expenses are lowered as you hire only the employees you need. You will also have a lot of opportunities at your fingertips to nurture your business with the help of the MaidPro home office. We have original software, unmatched customer service, a marketing team that is making MaidPro a household name and a Call Center that is in place to help you sell and win more business. Recurring revenue is the hallmark of the cleaning industry. Most customers schedule weekly or bi-weekly cleanings that become your bread and butter, which becomes the core of your business that provides a steady flow of income. This allows you to branch out and develop new customer relations or focus of improving existing ones. Personal attention with your success in mind The founders started MaidPro in a small office in Boston and are still involved in every aspect of the company. They built MaidPro from the ground up and know first-hand what it's like for others to start, grow and own a business. Our owner community is supported through regular conventions, retreats, conference calls, a mentoring program and online discussion forum. MaidPro's home office is always only a phone call away! Real-time access to your company data. Mentoring program and unique support systems such as an outplacement program and Intranet site. Exceptional cleaning systems and an obsession with the quality of the cleaning experience. 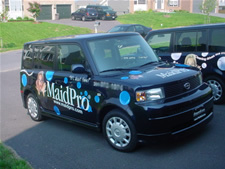 Recognizable website that reinforces the MaidPro brand and serves as a great "first point of contact" to potential customers. Resourceful, open, flexible and "customer-centric" Call Center that caters to the business owner. Business model that is easily scalable for multiple offices and several million dollar annual sales. Partnership with Procter & Gamble. Now is the time to create your own future in an industry that is experiencing truly explosive growth. Today, U.S. consumers spend more than $9 billion a year on residential cleaning, and that spending is growing at a rate of more than 20% each year. And, with MaidPro's proven systems, success is only a question of your own motivation and hard work. 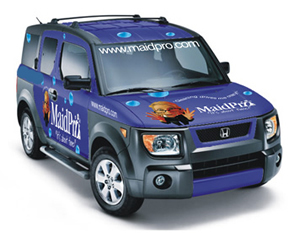 MaidPro prides itself on its proven groundbreaking technology and software, creative marketing efforts, established brand identity and stellar support to its franchisees. The company is constantly trying to reinvent new practices and refine old ones to ensure its place in the rapidly growing industry. MaidPro offers you the advantages of rapid growth, low start-up costs, manageable hours and recurring revenue. Join a franchise that gives you control and ownership of your business with unmatched 24/7 support! The housecleaning industry is life-friendly. Unlike restaurant or retail industries, cleaning is done primarily within normal business hours. Customers want to come home from work to a clean living space, which in turn, creates a manageable schedule for you. MaidPro owners do not clean homes themselves (It's even written into the franchise agreement). We want you to work ON your business, not IN your business, by spending your work hours managing employees, selling new business and thinking about ways to expand and improve. 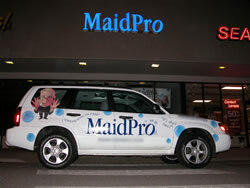 Click on Request Information for FREE info on how to open a MaidPro franchise today! Please Note: This MaidPro franchise opportunity and other franchise business opportunities, businesses and franchises for sale on this web site are not to be considered as an "offering", "franchise offering", suggestion or recommendation by Franchise Leader™. This advertisement depends entirely on the truthfulness of the information provided by our advertisers which includes, but is not limited to, franchisers, franchise brokers, franchise consultants and business brokers. Franchise Leader™ recommends that you consult a lawyer, financial consultant, accountant or professional advisor before buying a franchise or business opportunity or any type of business. By using this form or any part of our website, you have agreed to all terms and conditions of Franchise Leader™. Please review our Terms & Conditions for more information.